In what couldn’t be a stronger sign of the times, the once unstoppable video games retailer GameStop is officially looking to sell. The company confirmed as much in a press release following an earlier Reuters report saying as much. 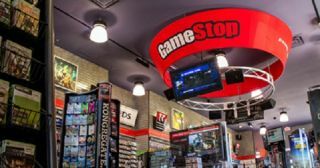 More specifically, Reuters reported to have learned from anonymous sources that GameStop was looking to private equity firms for a sale, particularly a firm known as Sycamore Partners. The report also states that GameStop has hired a financial advisor to see it through this process. However, both Reuters’s sources and GameStop officially said that this is no guarantee that these talks will result in a sale. Frankly, once video game downloads through platform holders’ digital stores began, the writing was on the wall for GameStop. The company managed to stem the tide through used game sales and other customer perks, but it simply couldn’t keep up with the decline in physical game sales new or used. In 2017 alone, GameStop had to close 150 stores. Not to mention it had to deal with a major credit card breach, which didn't help matters. Then, the company's newly appointed CEO left the role after mere months earlier this year. The rise of digital game sales straight from the source has clearly grown insurmountable for GameStop. The potential sale doesn’t necessarily mean the end for the retailer, but it’s difficult to imagine the company and brand coming out of such a sale unscathed. Don’t be surprised if the GameStop you know today looks a helluva lot different from the GameStop you might see in 2019.